Since records began, there have been 57 variations of the name Aylesbury. It was first recorded as Æglesburgh, meaning Fort of Ægle. However, no one known seems to know who Ægle is. 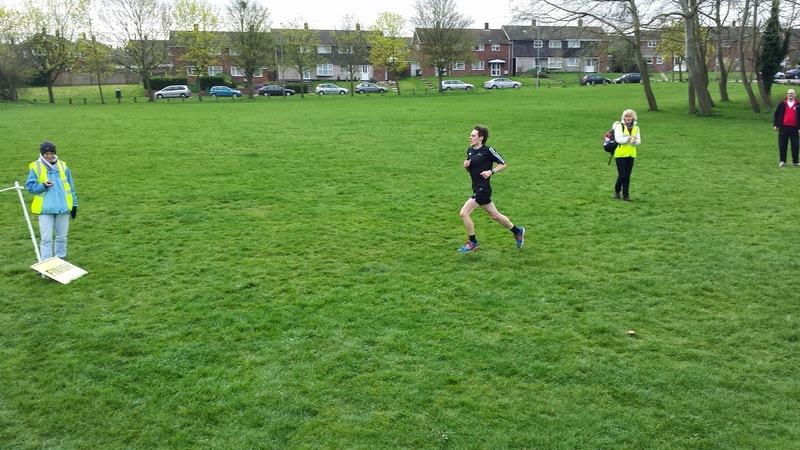 Anyway, the only thing that really matters is that the town is now home to a free, timed, 5k run - Aylesbury parkrun. 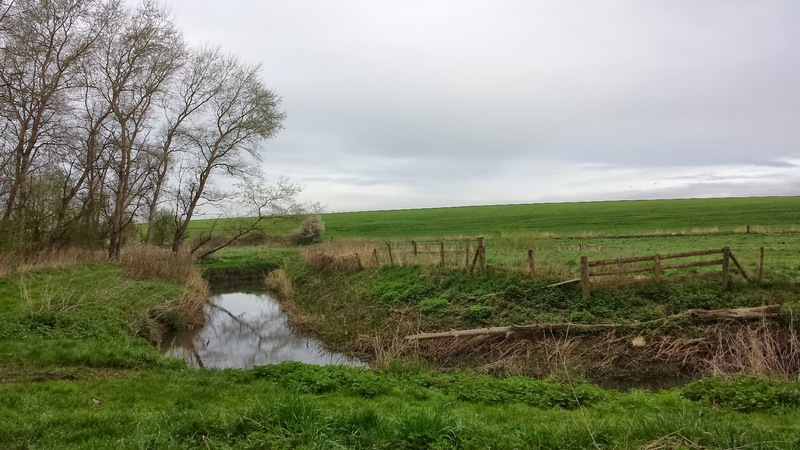 It is situated just outside the north of the town centre in a residential area which is right on the border of some scenic countryside along the banks of the River Thame - a tributary of the River Thames. Upon arrival at the venue (by vehicle), you'll want to know where to park. 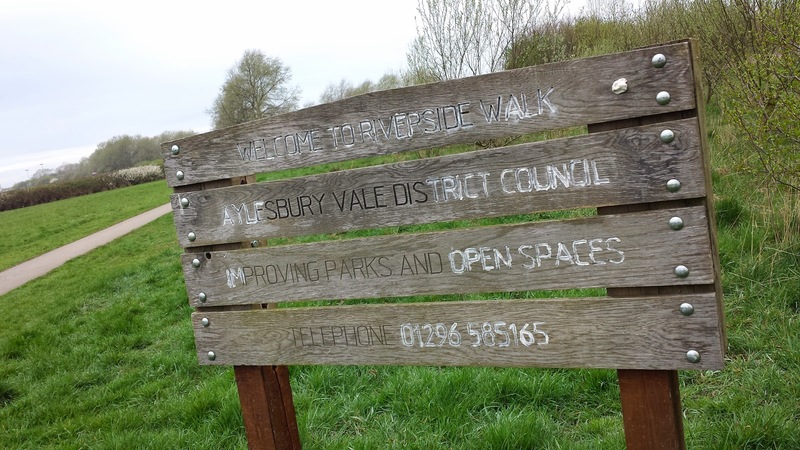 The instructions on the course page are to NOT park in the community centre, but use the playing fields car park opposite the community centre because it is for users of the community centre and not for parkrunners. The playing fields car park is actually closer to the parkrun meeting point. For those arriving by train, Aylesbury Station is the one to aim for, and while it's not right on the doorstep, most people here for a 5k run would have no problem walking or jogging to the parkrun venue. Cyclists, well. I saw some bicycle racks in the community centre car park - maybe you can use those. If not, there is a fence adjacent to the childrens play area (I think it was a basketball court or five-a-side football pitch) near the finish that could be used. Toilets are available in the building adjacent to the car park and playing fields. The event director was just about to start setting up when I arrived, so he was kind enough to open one up for me to use (it had been a long drive). 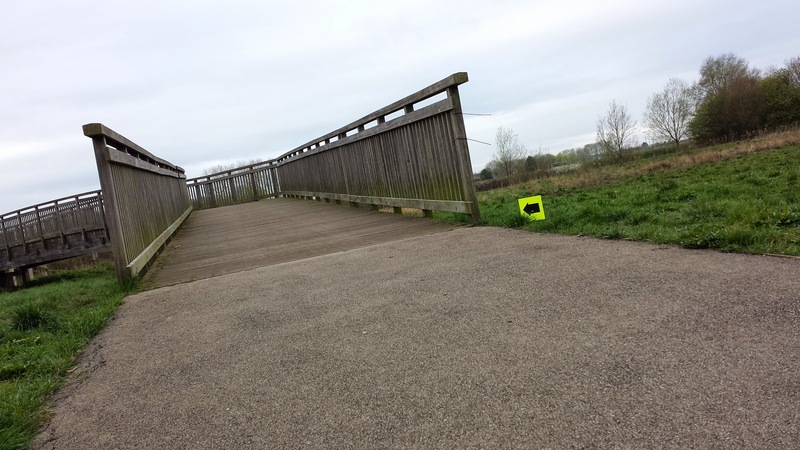 The piece of grass next to the children's play area (Meadowcroft play space) is used as the pre-run meeting point. Here, there is a smaller briefing for anyone new to parkrun (or indeed any first timers to the venue). At 9am the 400 metre walk to the start line begins. At the start line the proper run briefing is given. The course is pretty simple to follow and forms the shape of a slightly mis-shapen lollipop. For anyone looking for a fast time, this certainly falls into the flat and fast category. From the start line, the course goes back towards the meeting point, but just before reaching it, the runners are directed left to continue on the riverside path. The path looks to be a mixture of concrete and tarmac sections, so road shoes are fine for this course. 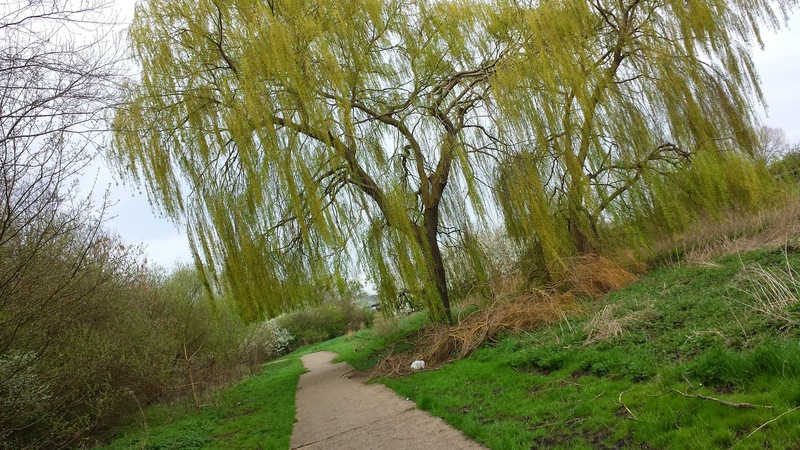 The path meanders through trees and every now and then the river is visible. Towards the end of the lollipop stick there is a playing field to the right and shortly after the runners reach the sweet part of the lollipop. The sweet part is run twice in an anti-clockwise direction. 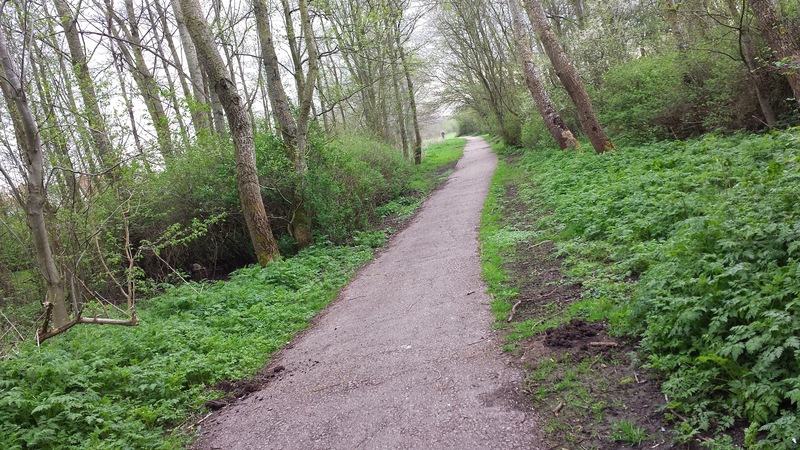 Upon reaching it for the first time, the runners simply continue along the concrete path until it reaches the main road (A413), a left turn here keeps the runners on the correct path and after crossing the river via a wooden bridge (could be slippery in the wet), the runners take a tighter left hand turn and run through an open grass area (but still on the hard path). At the end of this stretch, there's small bridge, then a left hand turn which leads onto another longer bridge to cross. After one sweet, sticky loop, the runners turn left to complete it again. If you are going to lap others or be lapped it'll be on this sticky section. If you are faster be prepared to weave around people and if you are slower be prepared for faster runners to whizz past you, possibly without warning. The second time around, the runners turn right and head back along the lollipop stick towards the finish. At the end of the path the route goes out onto the pavement adjacent to a side road (which is on an ever-so-slight rise) before turning onto the grass area where the runner's originally met. The finish line and cheering crowds are here awaiting the runners' return. After the run, the community centre is used for some post-run socialising along with coffee and cake. Sadly, we couldn't hang around because we had to drive into Central London straight afterwards. 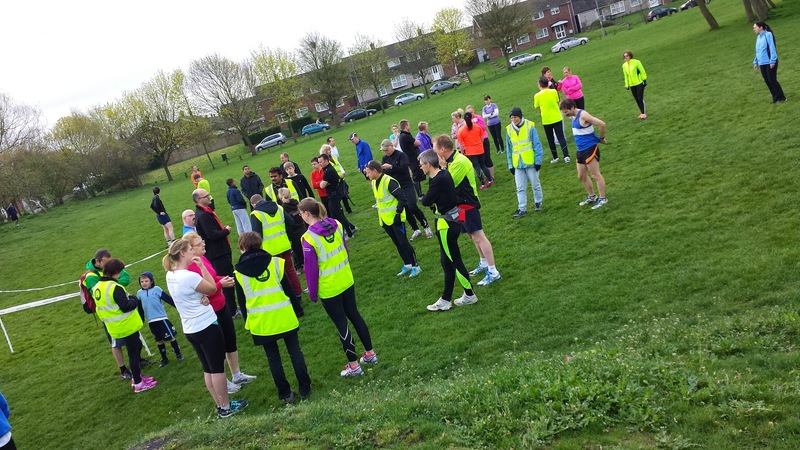 Anyway, it's one of the younger parkruns (I ran at event 14) and it looks like it's shaping up to be a really nice community, which is just what you'd expect from the lovely world of parkrunners! This venue was week 2 of my #7weeksofparkrun challenge. I also ran a new 5k personal best here.